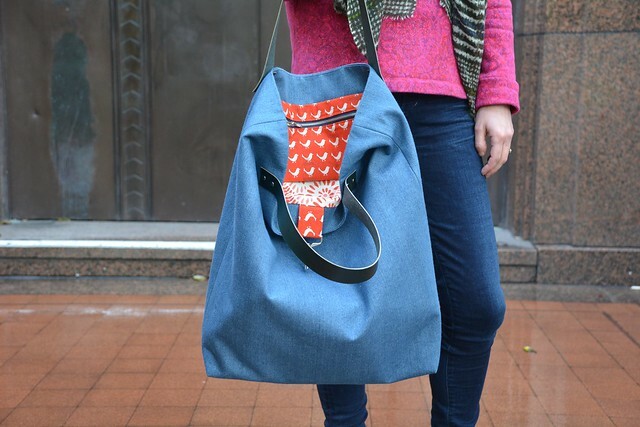 After many a Instagram teaser, Pattern Fantastique and I are very excited release our first collaboration, the Geona Tote. 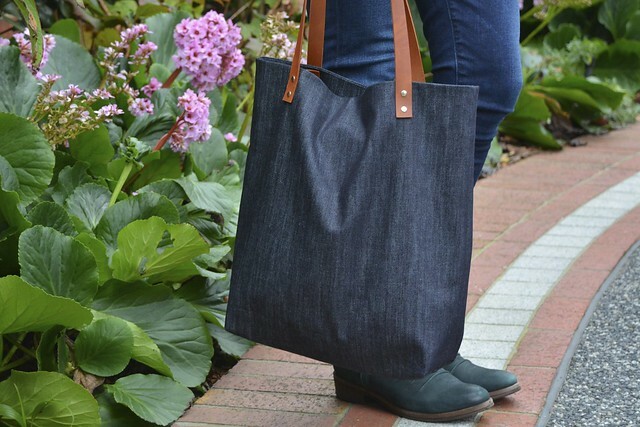 The tote was designed with denim in mind, but it can be sewn out of any medium to heavy weight material. The heavier the material, the more the bag will hold it’s shape. And remember, you can always interface your fabric to give it more structure. For example, I block fused medium-weight interfacing to the outer bag pieces on the small red wool/nylon blend tote below. 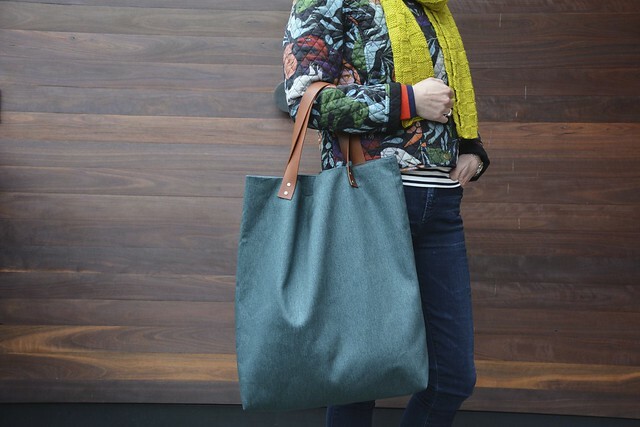 The Genoa Tote comes three sizes – small, medium and large – making it a bag for almost every occasion. 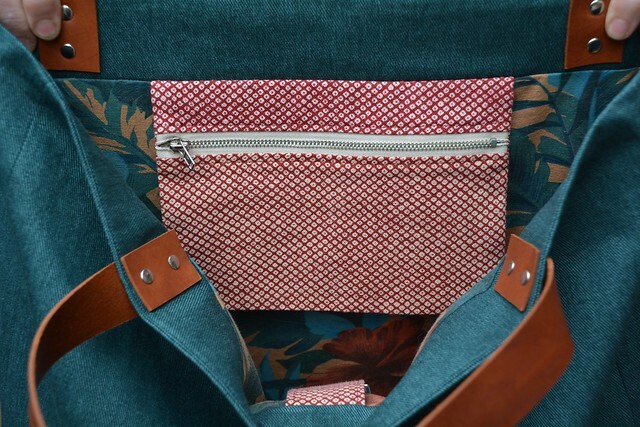 The leather straps come in two widths and two lengths and can be mixed and matched with any size tote. 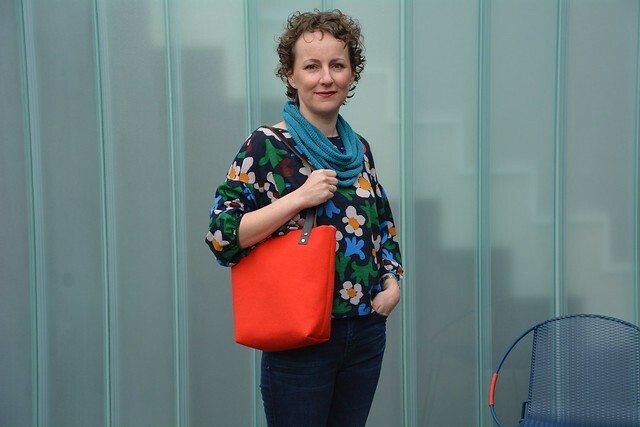 For example, the wide shorter straps lend themselves to the large tote and the narrow shorter straps are perfect on a small tote for the younger generation. 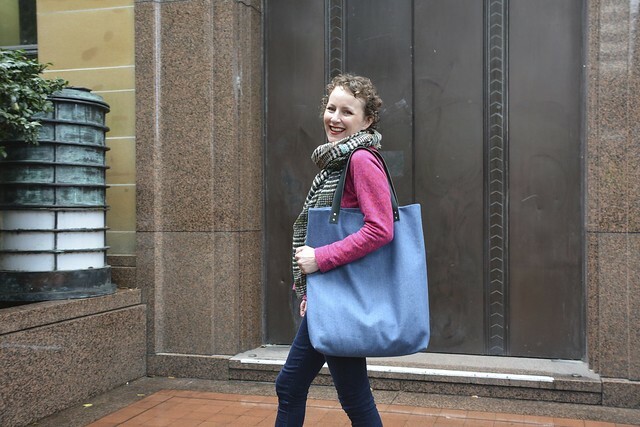 The Genoa Tote is fully lined, features a zipped pouch and clip for you keys. The fabric combinations are endless! The leather straps are attached with double capped rivets creating beauty, strength and longevity. If it’s the first time you’ve worked with leather, the detailed step-by-step instructions will hold your hand every step of the way. 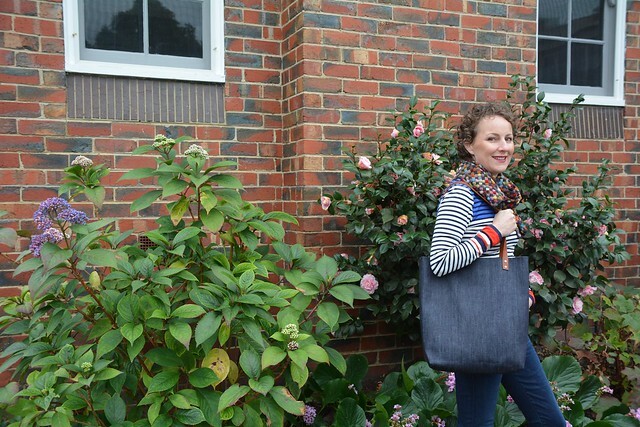 The Genoa Tote is now available as a PDF pattern (with both A4 & A0 files) in Pattern Fantastique’s online shop. Leather handles kits and printed pattern will be available in October (when I’m home from a family holiday!). Congrats Anna on your achievement after so much hard work. This looks very much like the totes they sell for $200+ at boutiques …. you are giving me ideas! Thanks Siobhan. It definitely has felt like a labour of love at times, but I’m so pleased that it’s come together and it’s out in the sewing world. Thanks Kate. I’m so pleased that it’s all come together so well. 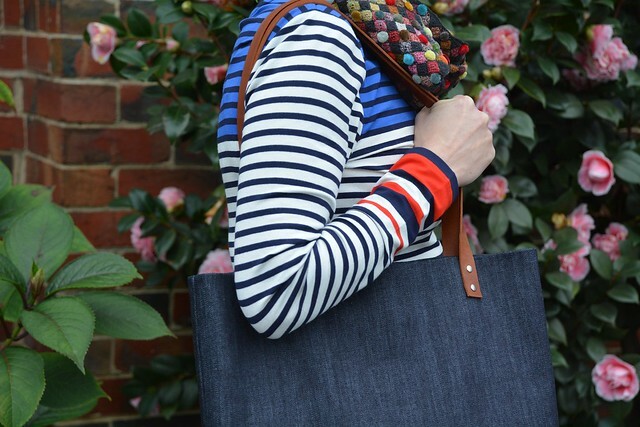 The sewing community have been amazing… as they always are! I am wishing you lots of success for this wonderful pattern! What a perfect collaboration between the two of you! 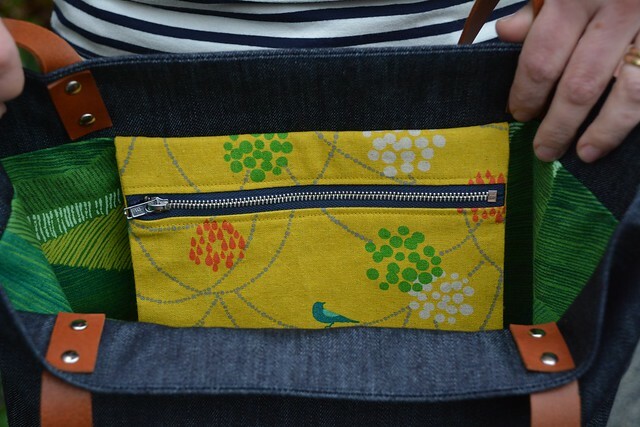 I feel honored I could test this pattern and am looking forward to seeing lots of Genoa Totes all over the world! Your help in testing the pattern and spreading the Genoa word has been AMAZING Ute. Gorgeous versions (mostly inspired by you I expect) are popping up on social media every day. I’m very blessed. Ohh Anna, it’s fantastic! 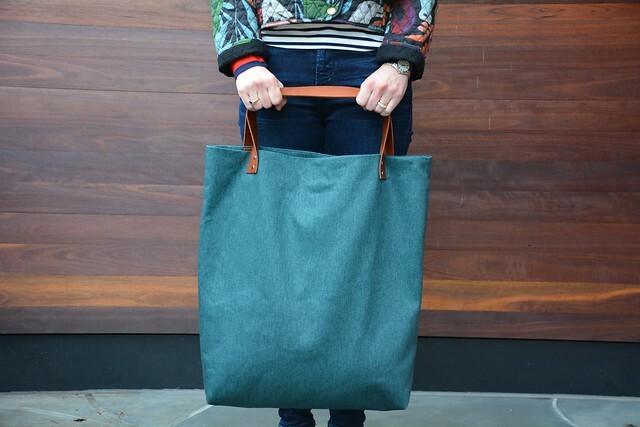 I’ve loved all of the workshop Genoa totes popping up, and have been eagerly awaiting it’s release. I adore that you include such versatile different sizes and your illustrated instructions are fabulous, I can’t wait to get started! – a huge Congratulations!!! Thanks Nic. If you’d ask me a year ago if I would be co-releasing a pattern I would have laughed… but look at me now! Thanks for all your lovely feedback and I can’t wait to see your take on the pattern. Woohoo! 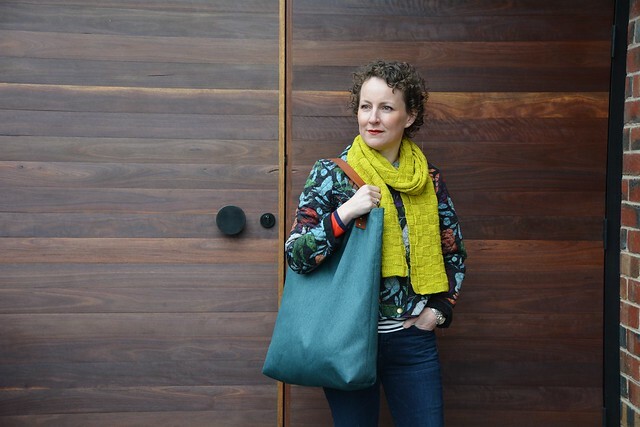 I loved the totes you made at Xmas time and it is great that you are sharing this pattern. I will be getting my pattern pronto. I’m also stalking your clothes in this post. Those tops are divine and I assume Anna-made as well. What patterns and fabrics have you used? 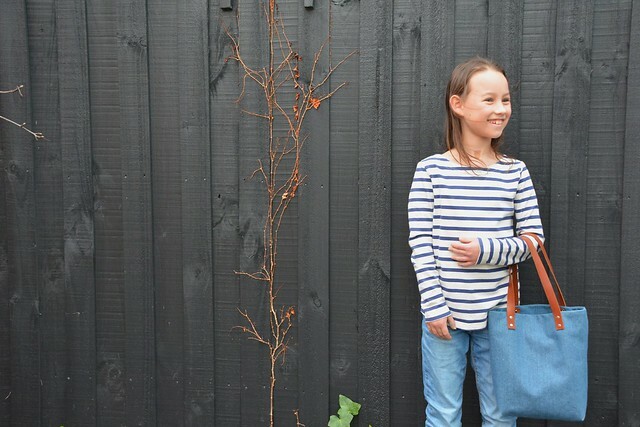 Thanks Neroli for the pattern feedback and the clothes love. 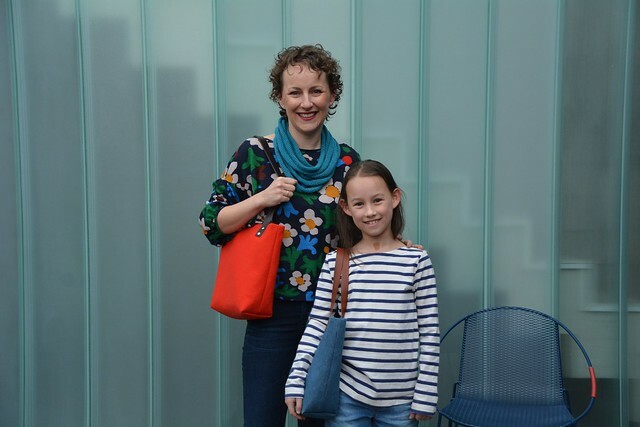 The clothes pictured as a mix of Anna and shop brought… much like my wardrobe. 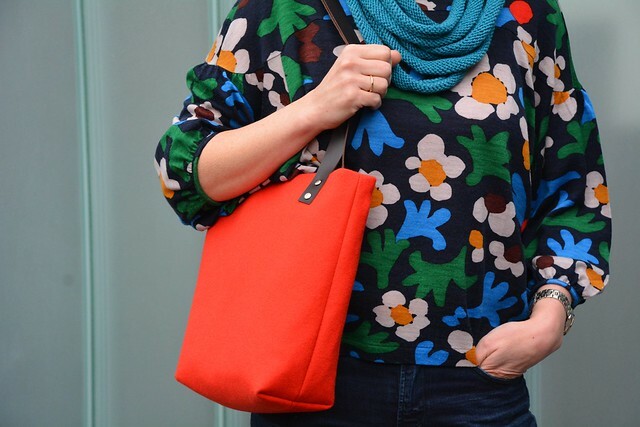 The floral top in from Scarlett Jones… it’s 100% merino and from a lovely but quirky Japanese designer (think investment piece). The stripey top was a recent purchase from Marcs & I believe is now on sale. 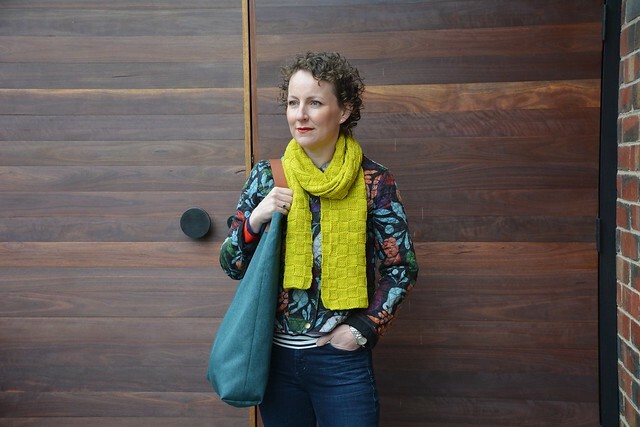 The quilted jacket was from Gorman, but the citrine basket weave scarf was one I knitted earlier this year. You just get a peek of some pink fleeces in one of the pics. It’s a liberty fleece Linden Sweatshirt (a Grainline Studio pattern). Ooh it’s lovely! Nice work Anna and Co! Thanks Mel. It been a fun, but long, project. I’m so glad it’s out in the wild. Oh, brilliant! I believe you truly have the best style aesthetic of anyone on the Web! And I was looking for a good bag pattern (patiently awaiting handles). Bonnes vacances! Jane, you have made my day! Thanks for your very kind comments. A holiday in the sun is just what I need. The countdown in my house is definitely on! Bag making it lots of fun Susan. I hope you enjoy it as much as I do!